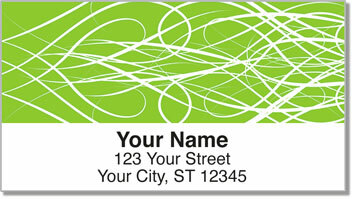 A swirling pattern drifts upward against eye-popping, bold backgrounds in four color choices. This is a finishing touch for outgoing mail with stunning style! The print will remind you of things that are light and breezy - like tousled curly hair blowing in the wind, smoke out of the top of a chimney during winter or clouds drifting across the sky. This design is a reminder that art is all around us. 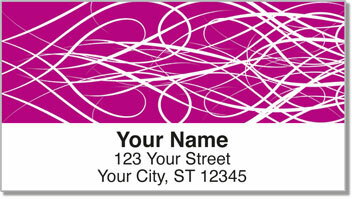 Stick these original return address labels on every envelope to save a ton of time. Thanks to a handy, self-adhesive backing, all you have to do is peel and place them on anything you stick in the mailbox. Choose Wispy Address Labels from CheckAdvantage right now! Get them today along with your matching personal checks.